Healing from trauma is not the end of the story. You are brilliant — growing your work as a creative, coach, or healer. I know you are absolutely passionate about your work, and that it is deeply needed in the world. The healing work you’ve done has lit you on fire to create the causes and conditions for change in the world, however, you are surprised to find that you are struggling. You are finding that the lingering effects of trauma and your very sensitive body psyche are "interfering" with the manifestation of your vision for your work, your life and the world. Our hardest moments define us in so many ways. You’ve grown stronger and wiser as a result of what you’ve experienced. And, as you turn your attention to the legacy you want to create through your work, you may find that the lingering effects of trauma and/or the challenges you’ve faced are preventing you from moving forward. The after-effects of trauma may never go away but you can experience a new-found strength, I promise. Some of the signs that Trauma-Sensitive Business might be for you is that despite your best intentions, you disregard your foundational needs or you might be aware of dismissive and destructive self-talk and actions that sabotage your deepest desires. You may experience anxiety or a fear of judgement or retribution that keeps you in a state of hiding: stuck in a fear of sharing your voice through marketing and putting your work out into the world. You may feel a deep sense of being unworthy that stops you in your tracks. Here is what I know is true: you can develop your capacity to feel secure and grounded. You can practice being seen. You can grow your sense of being enough, just as you are. You can learn to be trauma-sensitive in how you approach yourself and in doing so, move beyond letting trauma derail your desires. Let’s walk you into a future built on a foundation of strength. As a yoga teacher, breath facilitator, energy work practitioner as well as a master coach with a corporate background in accounting, The Trauma-Sensitive Business weaves together practical habit building, gently moving into right-action based on your vision, facing and feeling emotions that arise at the edges, and calling on the wider self (divine nature) for support and healing to move with, and beyond, the trauma that we carry as we walk through the world. I have dedicated my life to healing and moving beyond the traumatic experiences that have impacted my life and my body psyche: I began my own healing 25 years ago, in a hit or miss manner, following my natural instinct, unwilling to accept that a sense of brokenness was somehow my fate. This was long before we has diagnoses like post-traumatic stress disorder, let alone an awareness of post-traumatic growth. One of the biggest opportunities to heal has been growing my business — it has asked me over and over again to go deeper with my own healing. I’m not a therapist or a psychologist, but I have committed thousands of hours to learning and exploring ways to heal and move beyond trauma - both my own and that of my clients. I have had to do this because I am committed to my own healing and my own business success. What I know for sure is that the aspects of ourselves that we typically reject as weaknesses are incredible strengths once we welcome them home. Over six-months, you will deepen the way you nourish yourself and grow your capacity to build your business as a woman who has been impacted by trauma. We will move through four distinctive gateways, with ample time for integration as well as individual sessions to nurture you, and your business, in ways that honor the trauma that you carry in your body psyche and allow you to move beyond the trauma to shine in your work. In this gateway, we continue with the practices of gateway one, but we shore up the foundational support systems that make running your business as smooth and as easy as possible. We root into the basics: CRM, taking money, financials, business hours you keep, a scheduling methodology that creates order — all of it. These are the practical systems, processes and supports that will help you feel a deep sense of safety so you can stay grounded and centered as your work, and your business, grows. This gateway calls deeply on the first two gateways -- inviting you to share your voice and speak true to reach out to your audience with more clarity and authority. This is edgy work for those who have experienced trauma and requires a renewed commitment and deepening of caring for the earth of your body, staying present to your edges, and having support structures/people in place for the inevitable tenderness that arises when you reach out with your voice and your marketing. You define your intentions for reaching out - being mindful to take risks but not get into overwhelm, noting stories that might be at play and gently moving forward. Success breeds growth and confidence. In this gateway, we will anchor into your purpose and bring it front and center to inform and inspire you. You will craft rituals to contain your client work and also to clear energy and close your sessions with intention. We will flesh out the practices that best support you in remaining resilient as you work with others and affirm the importance of returning and strengthening gateway one to grow your work sustainably. You will need to give yourself more than most people in order to keep the topsoil rich and nourished — this is the affirmation that this is the way you do your best work and grow sustainably. You will continue to carry the trauma of your past, it’s true. And you also have the capacity to move beyond the trauma. Four Gateways: Each gateway included four teaching bundles with teachings, invitations, practices and additional resources for those of you who love to learn through reading. Four individual coaching sessions: Over the course of our 6 months together, you have access to four individual coaching sessions with me to get the support you need to grow beyond you trauma and shine. Twelve live group calls: Calls will be held twice each month on Wednesdays at 10 am pacific time/1 pm eastern time/7pm central european time. On these calls we will circle together around the teachings, be in conversation and set your trajectory with the gateway we are working within. All calls are recorded and made available within 24 hours. Nourishing earth and energy medicine: I will craft two to three flower essence formulations to support the group as well as offer group energy work to support the group and your individual intentions to grow your business with a deep appreciation and awareness of trauma. An intimate group of like-minded women: This group is limited to 12 women, by application only, to create a safe, supportive environment in which each of you can thrive. Curated resources: Additional resources and recommendations to support you and your journey of growth. 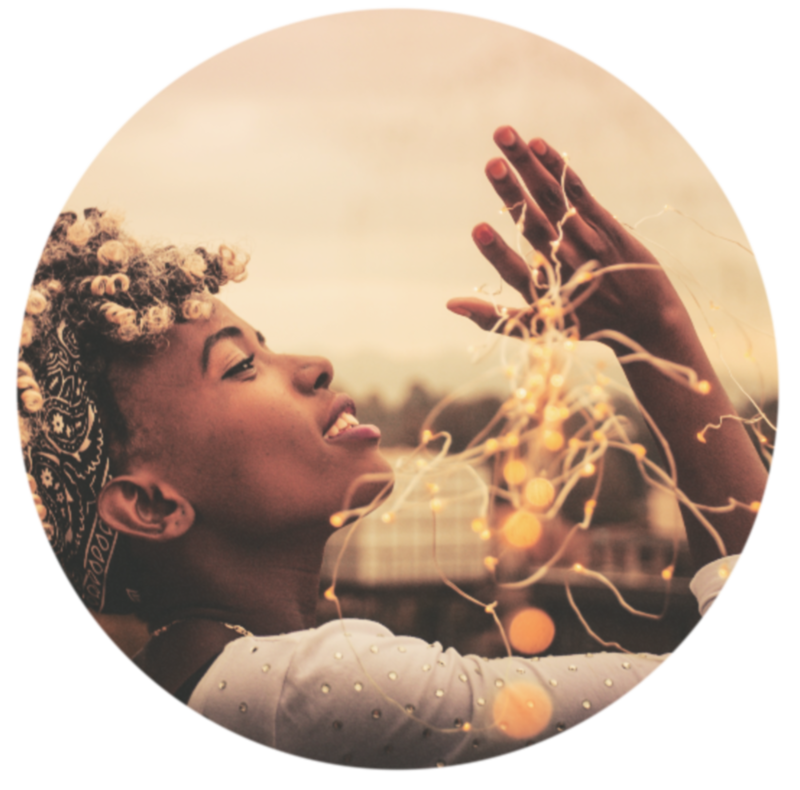 All of these beautiful resources to help you honor the trauma you’ve experienced and focus on strengthening your sensitive body psyche to move beyond the trauma so you can share your work in the world and make the contribution you deeply desire to make. I would be honored to walk with you, sister. I am committed to creating a beautiful and supportive experience for each woman in the circle. I would love for one of the women to be you. Nona’s program was an incredibly immersive and integrative experience. 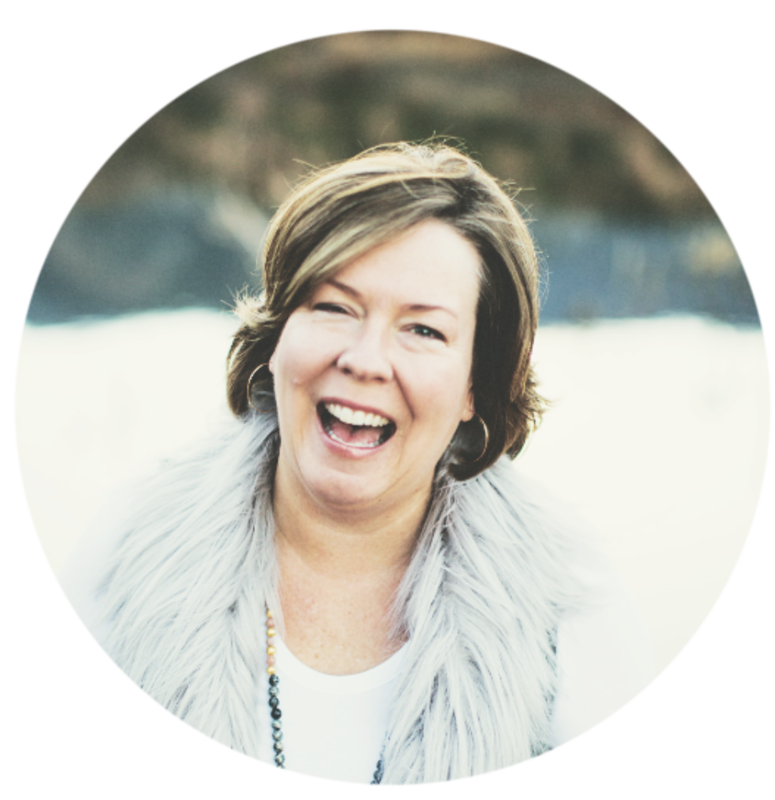 The way she wove energy work, shamanistic elements and coaching practices together with her own personal stories took the learning to a whole new level. I’ve rarely been in a program so powerful and personally suited to me. I felt a real shift in an issue that’s been around as long as I can remember. And the circle of amazing women she created was such a safe space to share, to be supported. My biggest take-away was a deeper knowing that I could - and must - trust my own divine gifts. I am wowed, floored, gobsmacked and deeply grateful. Transformational is the word. This work, Nona’s presence, and the incredible connection with the other amazing women in the group, has helped me consistently stay in touch with my Inner Wisdom and be able to decide and operate from that place. I have unearthed and discovered layers of myself I never would have without her wisdom and insight. Nona has taken what she’s learned through personal experience and years of working on her own self, and translated it into the most profound, down-to-earth, life-changing teachings and practices. Nona’s work is transformative and lasting. Working with Nona has helped me experience deep peace and renewal during challenging times, leading to a greater sense of grounded clarity in how to move forward. Is this program for me if I’m dealing with acute, current trauma? This course will not be a good fit for you if you are in the acute phases of PTSD or any kind of current, personal trauma. I am not a therapist or a psychologist and though I have a lot of tools in my toolbox to support bodies that are on high-alert, you need to seek professional help if you are experiencing active symptoms of trauma or PTSD. I’m not sure what I experienced really counts as trauma. Do I fit here? As I’ve studied trauma over the years, both my own and others, I know trauma to be a natural response to an overwhelming experience. Trauma is almost universal in that it’s severe stress that our bodies and minds have difficulty processing. There are as many ways to experience trauma as there are people — trauma can be systemic and happen over a period of time; for instance, as a child growing up with mentally ill or alcoholic parents or abusive parents. It can be a singular experience such as a death or a really big life change or a car accident or illness. There is also the very real trauma that we can experience vicariously through our work as healers, coaches and therapists. And, let’s not forget the fundamental trauma of being a woman in our culture because that is, in fact, a form of trauma. So, I would say that if this program calls to you, that you will belong here. If trauma is so common, why call it out? Is everyone dealing with it? Every person, every body, responds to trauma differently and not everyone who is building a business feels the edge of trauma come up. However, for the women that identify themselves as struggling to build a foundation of wellness, or who find their business systems are disorganized and chaotic or for women who struggle to share their voice or invite people into their work, trauma can definitely be a factor. There is often a shame or a frustration — why is this still an issue? Why am I still dealing with this? Why can’t I figure this out?? 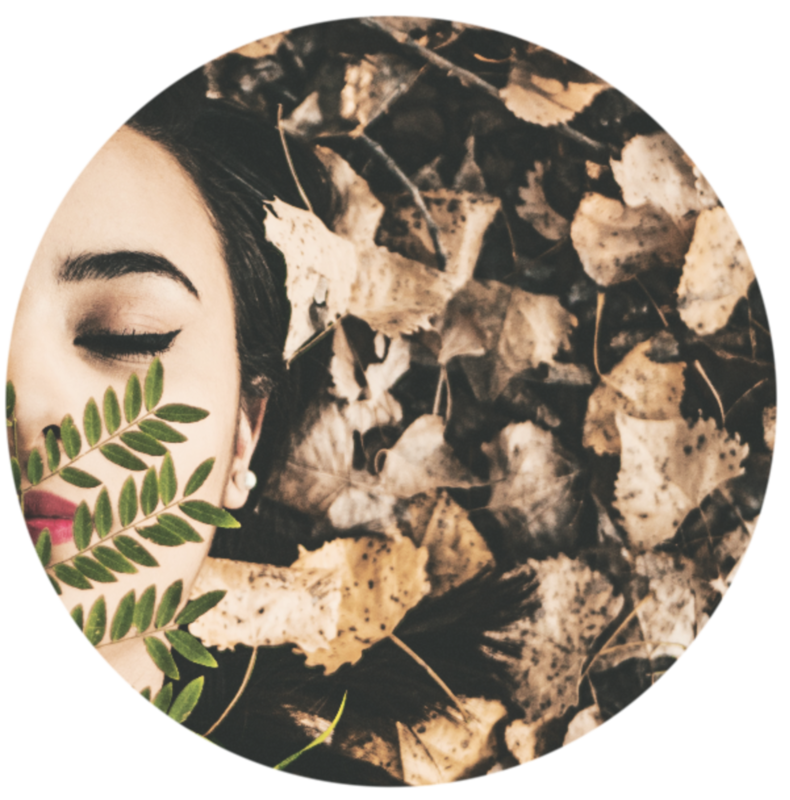 Many of the issues women face in business are unconscious recreations of traumatic patterns that are asking to be healed and integrated on a deeper level. Often, the response women have to their struggles adds violence (more trauma) to an already tender situation. I don’t see the work we do here as necessarily “getting over” trauma. Maybe you will, maybe you won’t. My deep belief is that you, and I, are better when we create strong foundations for ourselves and our work. That we can be sensitive to our traumatic past in how we live our lives and build our business and in doing so, we restore our innate capacity to handle challenges with grace (you know, like growing a business of meaning). We can be trauma-sensitive in how we approach ourselves and in doing so, we can move beyond letting trauma derail our desires. When you choose The Trauma Sensitive Business Program you are saying yes to a life-changing journey and I am with you every step of the way. I hold my investment in you and the group of women who will gather with you for every course, sacred. There are no refunds and the investment is non-transferrable. Let me tell you more about this policy. The nature of an investment is to create abundance - to plant seeds, trusting that the seed will germinate, sprout, grow and blossom - and spread the bounty farther than you can possibly imagine. I fully expect that will be the case for you. I want as many women as possible to move beyond trauma and to share their gifts with the world confidently. That is the nature of investing our energy - and the money you invest helps you put your resources of time and energy into being present for the work. As such, when you choose to invest in yourself, make sure you are all in. I would love to walk with you every step of the way. If you have other questions that I can answer for you to determine if The Trauma Sensitive Business Program is for you, please reach out. I want you to make the right decision for you. Or, if you are ready, you can apply below.